​The Cook N Home 8-piece glass canister and spice jar set includes: a 71 oz/2.1 L, 60 oz/1.8 L, 44 oz/1.3 L, 30 oz/0.9 L square jars, and (4) 5 oz/150 ml round spice jars. 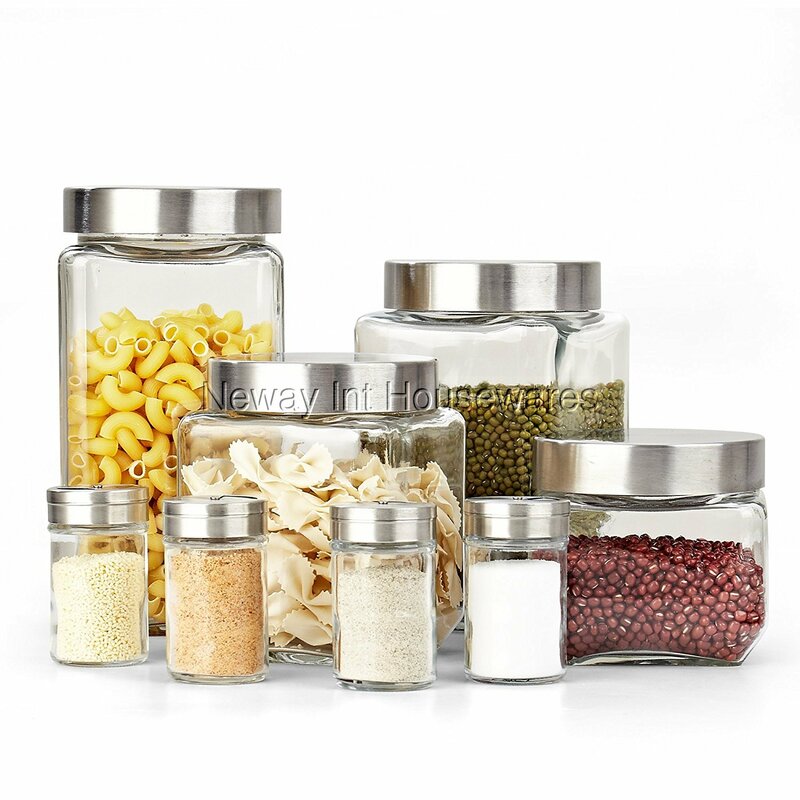 Stainless steel top lid is screw tight to keep spices, starches, and dry foods fresh/dry. Made of Clear glass to see inside, stay organized, and looks great. Easy to pour with wide mouth and spice jars have Shaker tops. Not dishwasher safe, hand wash and wipe dry immediately.